Mezzanines | Farmersville, TX - Lone Star Mezzanines, Inc.
productivity by utilizing your unused overhead space. incorporated to improve safety and facilitate product movement from one floor to another. Adding a mezzanine will allow you to gain the space you need without building a new facility or expanding outward. Think of it as the solution that helps you expand from within. They can be installed inside any facility that has a ceiling height greater than 15 feet. If you have more than 30 feet of overhead space, a multi-level mezzanine can be built to meet your exact area and height requirements. Many of our customers also choose to plan their project in phases. This is an excellent choice for expanding your production space when you are on a limited budget. Our mezzanines are fully adaptable and can be expanded easily at a later time when needed for future growth. 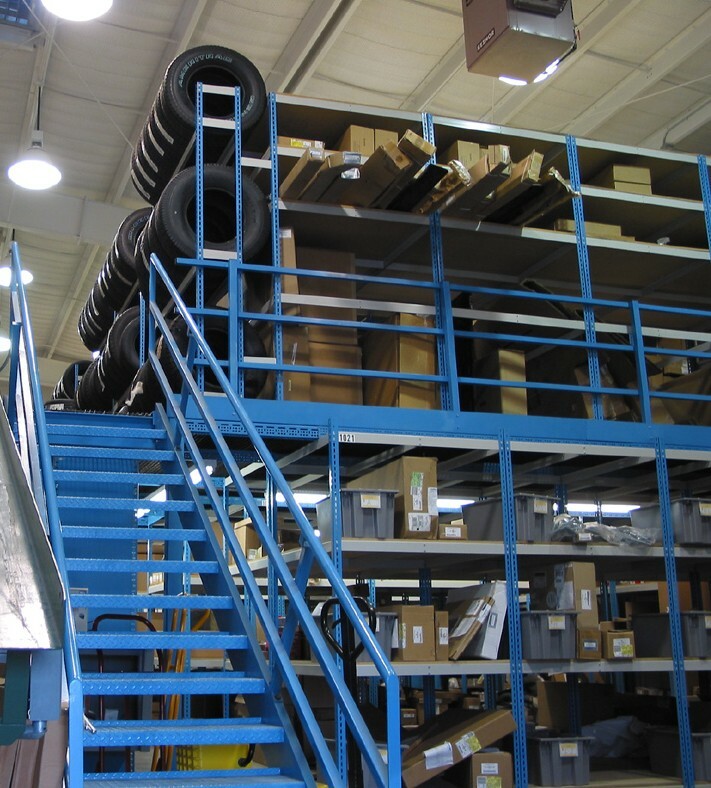 A Lone Star Mezzanine also can be custom integrated with shelving, pallet rack, vertical lifts, conveyors, in-plant offices and more. Our company is experienced in a full-line of manufactured products designed to provide you with total plant productivity. So whether your requirements are large or small, we are committed to meeting your needs accurately and efficiently. To have a Product Brochure promptly sent to you or to arrange for a site visit to discuss any project details with you personally, please give us a call at 972-782-6305. The machinery, equipment. and supplies segment is up a staggering 19.7 percent over last year. According to leading indicators of data trend probabilities, these segments will continue to grow in 2012. Within the next two months we will add our own dedicated trucking services to provide our customers with less expensive options for shipping their product to the job site..
LSM is pleased to announce new Installation Team Leader Congratulations to Austin Johnson on his promotion to Installation Team Leader effective last week. Austin began his training with our company last year, and after diverse training in many aspects and departments from within our organization, he has begun settling in as a qualified installation tech capable of leading a crew.